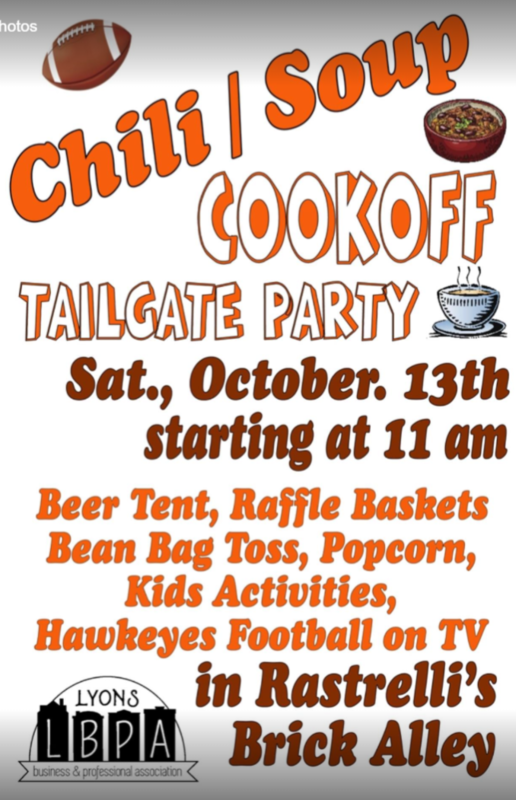 Enjoy the 4th Annual Chili/Soup Cook-Off hosted at 11:am on Saturday October 13th at Rastrelli’s Brick Alley. $5.00 passports to sample all the vendors. After you sample – be sure to vote for your favorite vendor . There will be two winners (People’s Choice and Chef’s Choice). AND enjoy a game of bags – boards available for play. 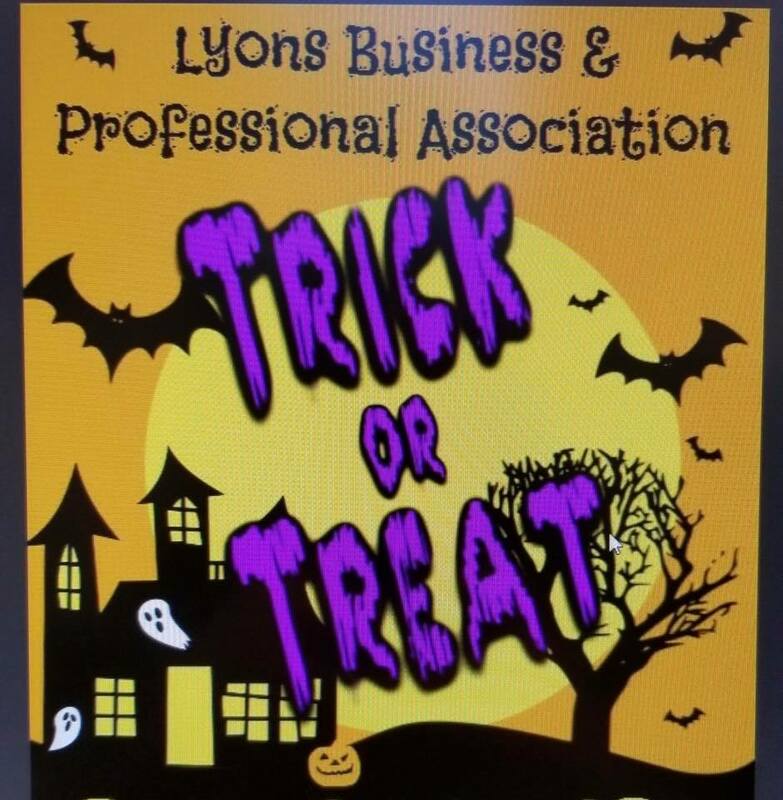 Support the LBPA and help raise money to go towards our Winter Festival and Christmas Walk coming up this December in the Lyons Neighborhood. Join in on the raffle! 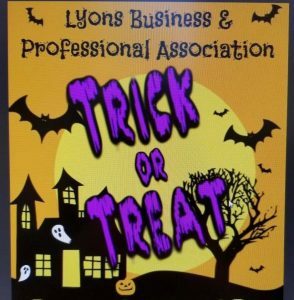 Great prizes will be available for you to win and take home with you. 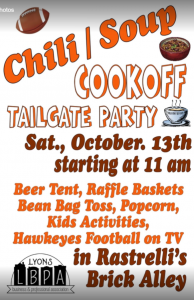 Prizes filled with gift certificates, clothing, souvenirs, beverages, coolers, kids activities and much more!